Chris Weisbach was born August 13th 1966 in New London Connecticut. Being raised in Kansas City, MO Chris started his interest in paranormal subject matter at an early age and quickly discovered a gift prophetic dreaming. Encouraged by this ability Chris took an interest in tarot and occult study and has studied the subject for 30 years. 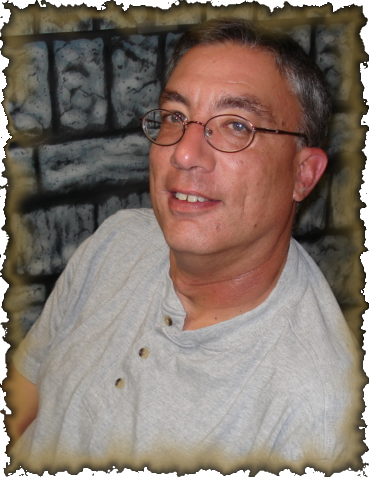 Chris has also worked extensively in the field of UFOlogy and joined MUFON in the early 90’s. In addition Chris worked for a period of time with the famed UFO crash retrieval investigator Leonard Stringfield prior to his death in 1994. Chris also has an avid interest in astronomy and geology and lives with his wife (Becky) and children in Kansas City, MO. If you have a book suggestion, or would like to schedule an on air tarot reading, contact Chris at chrisw@nightwatchuniverse.com.